Decide what type of Texas power of attorney you will need. 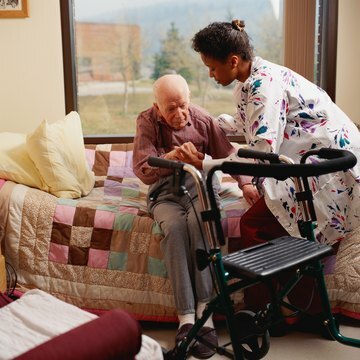 A Texas medical power of attorney, sometimes called a durable power of attorney for healthcare, allows the agent to make health care decisions for the principal in the event the principal becomes physically or mentally incapacitated. A statutory, or general, power of attorney allows the agent to made financial decisions for the principal. Download the Texas Medical Power of Attorney disclosure statement form from the Texas Medical Association website (see Resources). Read this form to make sure you understand the implications. Then download the Texas Medical Power of Attorney form. Fill this form in and then print it out. Download a Texas Statutory Durable Power of Attorney form from the Texas State Legislature website. Fill this form in and print it out. Take your Texas power-of-attorney form to a notary public and have it notarized. Any signatures required on the form, such as witness signatures and the signature of the principal, will need to be made in front of the notary. The Texas Medical Power of Attorney form will need to be signed and witnessed by two people. One of the witnesses must be someone other than the agent, relative of the principal, principal's doctor, beneficiary of the principal's estate or anyone working in the health care facility where the principal is a patient. The witnesses must not be related to the principal and cannot be anyone who stands to inherit if the principal dies. A power of attorney is a legal document that gives one person the power to make certain decisions for another person. The person who signs the document is called the principal. The person authorized to make decisions on behalf of the principal is called the agent or the attorney-in-fact. The agent does not need to be an lawyer. There are several different types of power of attorney, and each gives the agent authority to make different types of decisions.